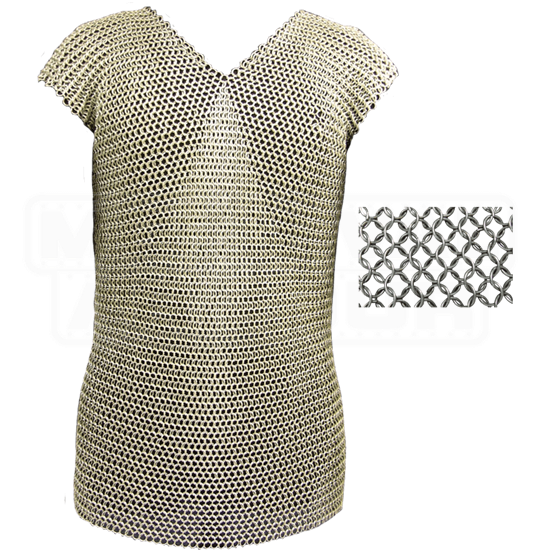 Our Sleeveless 50 Inch Blackened Butted Chainmail Shirt represents a great value for the non-contact or light contact role player. The rings are crafted from 16 gauge mild steel with a 9.5mm diameter. 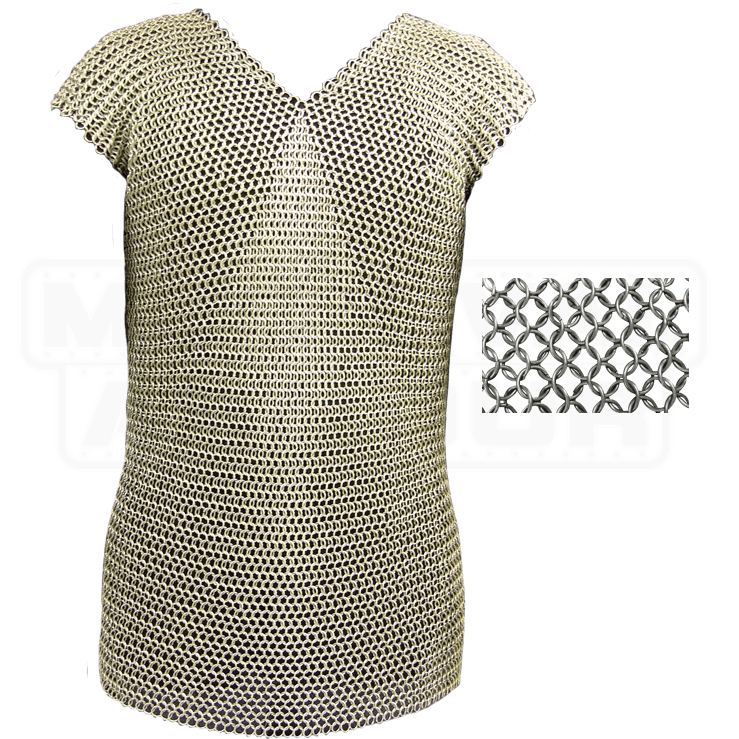 This chainmail shirt fits up to a 50 inch chest size, measured over a gambeson. The construction is butted round rings that are blackened and weighing approx. 14-15 lbs..